It is Rotary Youth Leadership Awards! You will enjoy a weekend where you will learn more than you can ever imagine and you will not even realize it because you are having so much fun! You will Lose and find yourself at the same time! 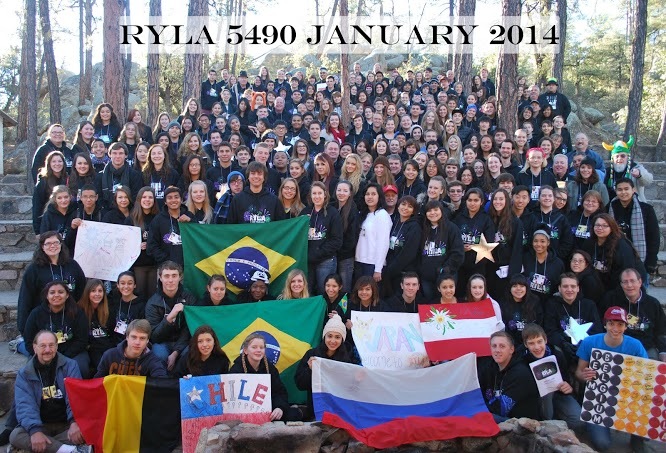 RYLA is presented at Camp Pinerock in Prescott, AZ and facilitated by the Rotarians of Rotary District 5495. This outstanding event brings out leadership skills in individuals through team building concepts and outdoor-based activities that include trust building exercises, problem-solving initiatives, and low and high challenge course experiences. Our delegates say that this life-changing experience builds inner strength and lasting friendships! Sometimes it takes the great outdoors to find your inner strength. Each year, thousands of young people take part in the Rotary Youth Leadership Awards (RYLA) program worldwide. High School Sophomores & Juniors are selected for their leadership abilities and experiences. Rotary Clubs conduct individual interviews and select award winners (delegates) to attend the four-day event. The Rotary clubs pay all expenses for the delegates weekend. Those attending will reinforce their leadership abilities & skills, utilize new methods, learn about their inner selves through a well-rounded exciting,stimulating and busy program. Activities vary from swinging from trees to exploring your own personality while meeting new friends of all ages and backgrounds. Rotary Youth Exchange students from around the world are in each group to share their culture, background and knowledge. Rotarians and invited presenters coordinate the day and evening sessions. This is an interactive experiential program with challenges,sharing and increasing individual knowledge. Our RYLA weekend will give each delegate to expand their leadership capabilities. It encourages leadership of youth by youth. Delegates exceed their expectations through increased self confidence and group support. Delegates are leaders and followers and gain knowledge of how to apply their skills in each area.